Exactly three months ago, UK tabloid The Sun announced that eBay had "banned TV boxes that allow Brits to stream sports and films for free." But today, eBay still seems to be the platform of choice for box sellers, despite rightsholders having full access to takedown programs. Over the past twelve months, the sale of ‘pirate’ set-top devices in the UK has reached epidemic proportions. Augmented Kodi setups are now the talk of both the Internet and the street, with unauthorized streaming sources now commonplace in British homes. Many of these devices, which are often Android-based, were sold through platforms such as eBay and Amazon. Buyers have been spoilt for choice, with every hardware format and software configuration just a few clicks and a quick delivery away. However, at the end of March, things appeared to change. As first reported by TF, Amazon updated its terms and conditions to effectively ban any devices capable of, or even suggesting, infringing purposes. “Products offered for sale on Amazon should not promote, suggest the facilitation of, or actively enable the infringement of or unauthorized access to digital media or other protected content,” the policy reads. Given eBay’s traditional stance, that it is not responsible for potentially infringing listings until advised of their existence by authorized rightsholders or their representatives, it seemed unlikely that the company was about to embark on a sudden spring cleaning session. Indeed, comments from an eBay spokesperson suggested that in respect of business policy, little had changed. “We run several initiatives designed to combat the infringement of intellectual property rights, including the Verified Rights Owner Program (VeRO),” the spokesperson said. Today, that announcement is exactly three months old and from even a cursory search of the platform, ‘pirate’ Kodi and similar setups are still a huge problem. In fact, if one wants to purchase a device, it’s not only just as easy as before, but prices appear to have fallen too. Indeed, no matter which searches one uses, whether that refers to the software installations (Kodi, Showbox, etc) or terms like “fully loaded”, all roads point to either infringing devices or devices which strongly suggest in their descriptions that infringement is the aim. But while some might point to eBay as the problem here (in much the same way that rightsholders quickly level blame at Google), there seems to be a fairly straightforward solution to the problem. In fact, eBay mentioned it themselves, three months ago. eBay’s Verified Rights Owner Program (VeRO) enables rightsholders and their representatives to have infringing eBay listings taken down if they contain infringing logos or other IP, or advertise items that infringe intellectual property rights. Once an infringing listing is found, rightsholders can manually submit a Notice of Claimed Infringement (NOCI) in the first instance and via a dedicated tool thereafter. If the complaint is upheld by eBay the listing will be removed, and if sellers are guilty of multiple offenses, their accounts could be suspended or even closed. Given the large number of infringing listings still present on the site, one might think that the big rightsholders aren’t making use of the NOCI system, but that doesn’t appear to be the case. eBay actually publishes a huge list of participating companies on its site and all the big ones are there. The MPAA has its own page, for example, as do companies like Versace, who are worried about counterfeiting. But being more UK specific, since that’s where most of the “Kodi” complaints originate, we can also see that the Federation Against Copyright Theft (FACT) has its own VeRO account, as does key partner the English Premier League. 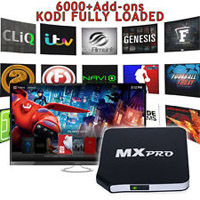 Given that both eBay, Amazon and even Facebook have been criticized for allowing sales of ‘pirate’ boxes on their platforms, it seems unusual that despite the grand announcements, devices are still so prolific and easy to find. Whether a full three months hasn’t been long enough for rightsholders to file appropriate complaints is unknown, but it would probably be preferable to go down that route first, before threatening the man in the street with a criminal prosecution.